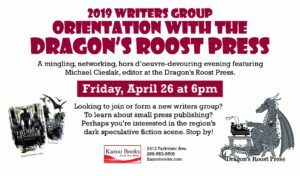 A mingling, networking, hors d’oeuvre-devouring evening featuring Michael Cieslak, editor at the Dragon’s Roost Press. 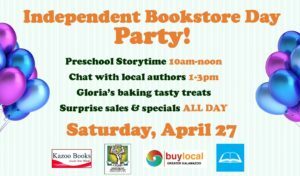 This marks the beginning of this year’s Independent Bookstore Day celebration. 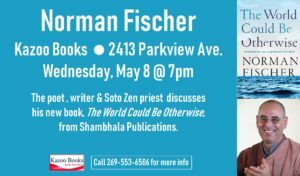 Mingling starts at 6pm; Michael speaks around 7.